Gene Ruyle is a LibraryThing Author, an author who lists their personal library on LibraryThing. 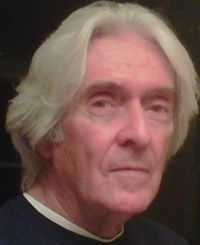 See Gene Ruyle's author page. About meI'm a native Nebraskan from the Great Plains, which is where the American West begins. Traveling west on Interstate 70 in Kansas, the landscape alters noticeably, as the vast rolling hills of the high plains come into view for the next 200 miles or so. When you come to U.S. Highway 77 you have in fact reached "my street," and if you turn to the right and drive north for about an hour, you come to Alcove Springs, near a famous ford on the Oregon Trail close to Marysville, Kansas, and cross about fifteen minutes later into Nebraska, where in another twenty minutes you'd come to the actual stretch of road in Beatrice, across from the Court House, that I lived on during my years in junior and senior high school. Working at the local Beatrice airport while still in high school, I learned to fly. Upon graduation, I enlisted in the Marines before going on to college at the University of Florida, followed by Virginia Theological Seminary, and then being ordained an Episcopal priest, spending six-and-a-half years in the parish ministry of the Diocese of Florida. A profound change occurred at the the height of the Sixties when I was given permission to work secularly while still remaining a priest, where I soon entered a lengthy doctoral program "to develop a fresh approach to human experience." Translated out of dissertationese this eventually became the book The Stuff of a Lifetime: Self, Sense, Soul, and Spirit in Human Experience. I remain engaged in each of my four major interests, all of which announced themselves while I was still in the Marine Corps and before I started college: philosophy, psychology, theater, and religion. With such emphases, my lifelong fascination has been with the spoken as well as with the enacted word, (linked to the written word too,of course, as found in my plays, music, stories, essays, and a small amount of poetry). To date, less than a fifth of my books have been cataloged. The ehost.com link listed on my profile as my website (www.thehumanrealm.com) ties ALL of my sites together into a single online network. -G.R. About my libraryMuch of my library lay in storage for over ten years. Then, moving to another city, I came across Library Thing on the Internet and was taken with its scope and concept. I resurrected my sunken library, box by box, after seasons of their growing musty or being damaged in storage. At first, I thought fifty to a hundred carefully selected books could jump-start a sufficient connection between me and my books, and, after so many years, serve to get the current flowing as before. What I failed to foresee was what sparks such as these would generate and set in motion. Picture, if you will, the undersea site of some huge sunken ship (out of respect, not the Titanic, but something very sizable and left largely intact). What I'd unwittingly devolved into over the recurring cycles of years was akin to making occasional salvage runs to find and, if lucky, retrieve items thought to be there. Now envision also, that as the initial connecting sparks flashed and energy returned to encrusted lines and cables, the engines revived, lights flickered and came back on, gears creaked as they moved haltingly, and gigantic rusty shafts turned and began to drive; and instead of only the tiny search vehicle bubbling its way back from the dark depths beneath it, the whole ship arose drifting upward, broke through the waves on the surface of the sea, and started to sail once more. That's what finding Library Thing has been like for me. XIII. Multimedia & Audio-Visual Section: Some sixty years worth of vinyl records, audio-tapes, CD's, VHS cassettes, and DVD's. May your own endeavors prosper here in whatever you hope they bring your way. And a toast to Library Thing! As Zorba might have put it, "Hey, Boss . . . have you ever seen a more splendiferous cloud!?" -G.R.